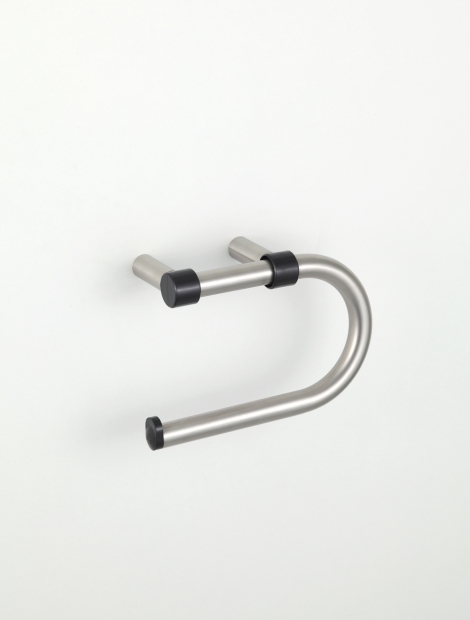 Wall toilet roll holder with nylon cap made of tube in stainless steel AISI 316L diam.16 mm. Length 160* mm, depth 64* mm, height 106* mm (* max outer dimensions). Supplied with plugs and screws. It does not need grounding.